Published by Disney, this retelling of Beauty and the Beast owes much more to the two Disney movies than it does to older fairy tale versions. So much so that the film is quoted word for word in the introduction. Yet it veers away from the expected script fairly quickly, opening with a woman imprisoned in a locked room that people forget having visited as if due to some enchantment. The story is split into two timelines that are retold alternately. There's the story of Maurice the tinker, arriving at a strange little kingdom peopled with those who are somewhat magically inclined. He comes across a woman who can curse men with pigs' noses, and a number of others with special abilities and unusual bodies, and makes friends. But the king and queen are hostile towards those with magic, and the fear of "charmantes" is spreading throughout the kingdom, accompanied by brutal purges and worrying disappearances. Belle's timeline takes place years afterwards. She deals with the boredom of provincial life by reading a lot, and with the boorish Gaston's unwanted advances mostly by avoiding him. His advances are as deluded as they are bullyish. And then Belle discovers the enchanted castle with its beast and servants who have been cursed into becoming furniture, crockery, and other household objects. The story in the book diverges from the Disney film, yet at the same time the tone is quite similar. It can be sweet and quirky, and the romantic aspect is family friendly. However, the novel's dark side is more brutal that the film's. The curse is stronger, and at times it seems as if the castle itself is against the main characters, whilst the earlier timeline of events deals with the persecution of people who are different, and with cruelty against them in a kingdom infected by fear and disease. It's set in 18th century France in a country somewhere within its borders, and the story makes reference to other countries, contemporary authors, and fashions of that era, giving the fairy tale a more solid anchor in time and place. There's tension and mystery on several levels, including questions of who will survive persecutions, who was responsible for all of the troubles, and whether in this version of the tale the curse will be lifted. One of the intriguing threads is uncovering Belle's complex family, and in particular the motives of her ambiguous mother, Rosalind, who seems to be both good and evil. 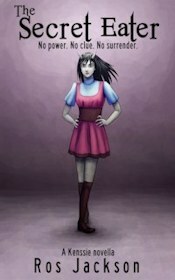 The reader is kept guessing about Rosalind until the end. 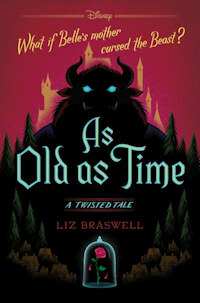 As Old As Time is a nicely crafted novel with enough changes from the usual fairy tale to keep things lively. Belle is curious and fearless, the Beast is gruff, shy, and volatile, and Maurice is likeable. The novel delivers the kind of emotions that are characteristic for Disney: moments of humour, sweetness, drama, and warmth.